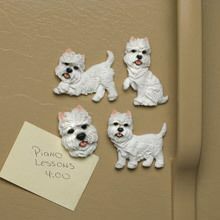 4 -piece Dog Magnet sets are made of handpainted resin. Approx. 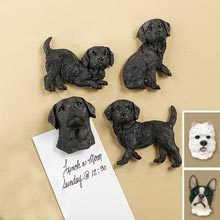 3"l. Hurry! Quantities are limited!